Retained Sole vs Flat Feet: What is the Difference Between the Two? How to tell the difference between excess sole and flat feet. I bought my horse six months ago. At that time, his feet looked healthy, with a nice cup on the bottom and smooth soles. Now, his feet look really flat and the soles are all cracked. There are even pieces falling off in places! He is actually going really well, but I’m worried. What could be causing these changes, and what should I do about them? 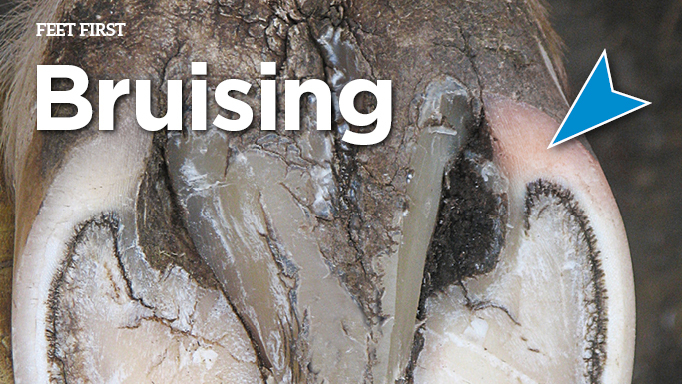 I suspect what you are seeing is a build up of exfoliating or dead sole horn, also called retained sole. The equine sole is similar to our skin in the sense that the cells grow to a certain point, then they die and are meant to exfoliate off. Live sole material is smooth and waxy looking, while exfoliating sole typically has a rough, chalky, fissured appearance. Sometimes, the exfoliating material accumulates faster than it is abrading off. This is especially true in dry environments and with horses that don’t move around a lot, though it can happen to any horse. If the dead sole material builds up, it can fill in the bottom of the foot, effectively hiding the concavity of the foot and making it look flatter than it normally does. The grooves on either side of the frog may appear deeper than normal as well, which is another clue that you are dealing with retained sole. The cracks and flaking/chunking you are seeing are also typical, especially if the foot has been dry and then gets exposed to moisture. Dead sole is very porous and will soak up water and become soft, which makes it easier for the foot to shed the retained material. Seeing pieces of your horse’s soles breaking off can look alarming, but this is a normal process with retained material and is simply a reaction to a changing environment. As for what to do about it, you may not need to do anything at all. In most cases, exfoliating sole can be left alone, and it may even provide some extra protection for the foot, similar to the protective pads sometimes used under shoes. Many owners find that their horses actually go better over rough ground if they leave the retained sole in place, and that the dead material tends to flake off or pop out on its own. Since you said your horse is going really well, he may be one that is helped by the extra protection the dead sole provides. 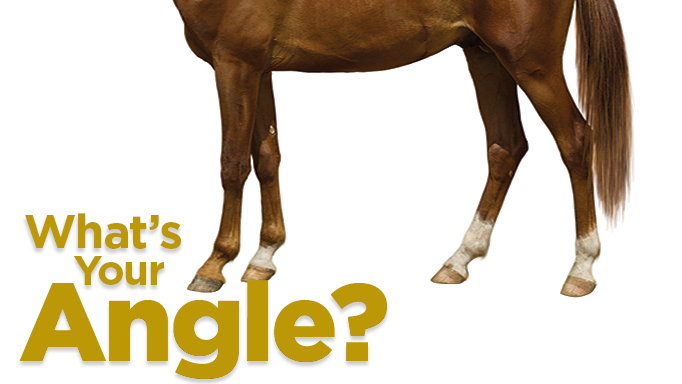 Occasionally, however, a horse will get a build up that causes problems for the foot and will need to be removed. Some horses will experience bruising as a result of too much dead sole, and the temporarily flatter hoof may lose some of its natural flexing action, which is important for good circulation. 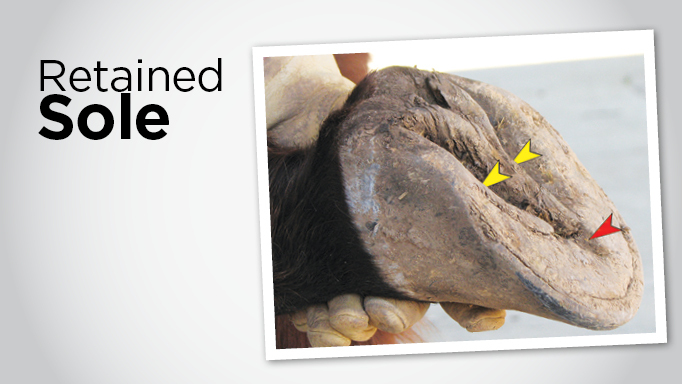 A thick, dense layer of retained sole can also make it difficult for a hoof care provider to gauge the correct height for the walls, heels and bars, resulting in a foot that ends up growing too tall and becoming less functional. One other possible problem with leaving retained sole in place is that when it does eventually start to crack and flake, it can trap moisture and gunk and allow fungal or bacterial infections to set up shop. If an infection is suspected, the dead sole should be removed to expose the infection to the air and allow the application of medication, if necessary. While it is wise to keep an eye open for such issues if your horse has retained sole, and to talk to your hoof care provider if you are concerned, remember that most horses do just fine when we leave the sole alone and allow the foot to find its own equilibrium. Though every case is individual, a good rule of thumb with most horses is that it is okay to pop out any areas of shedding sole that come off easily (e.g. 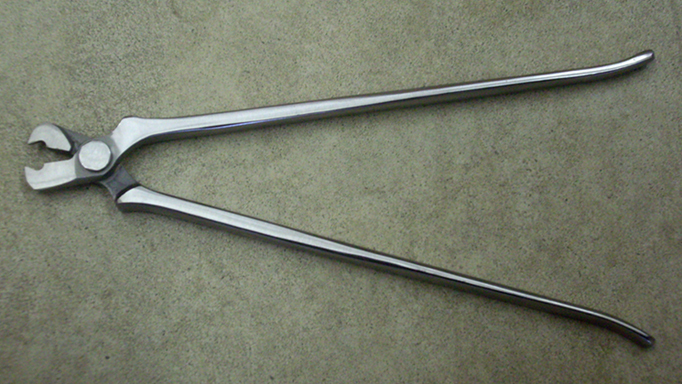 light prying with a hoof pick), but parts that are still tightly attached can be left in place. Susan Kauffmann is the lead author of The Essential Hoof Book: The Complete Modern Guide to Horse Feet. She has also been an equestrian journalist, educator and trainer for over three decades. 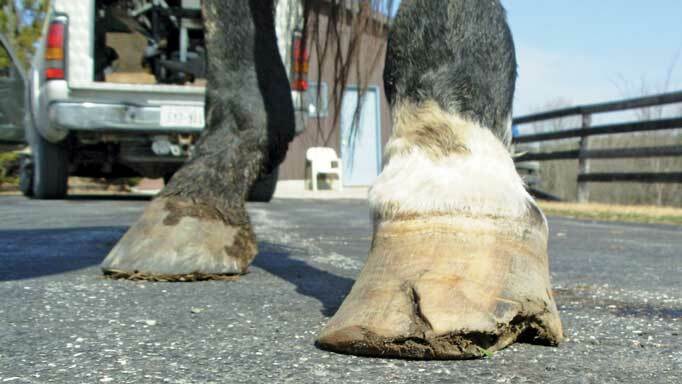 Send your questions for hoof expert Susan Kauffman to us at hceditor@horse-canada.com.